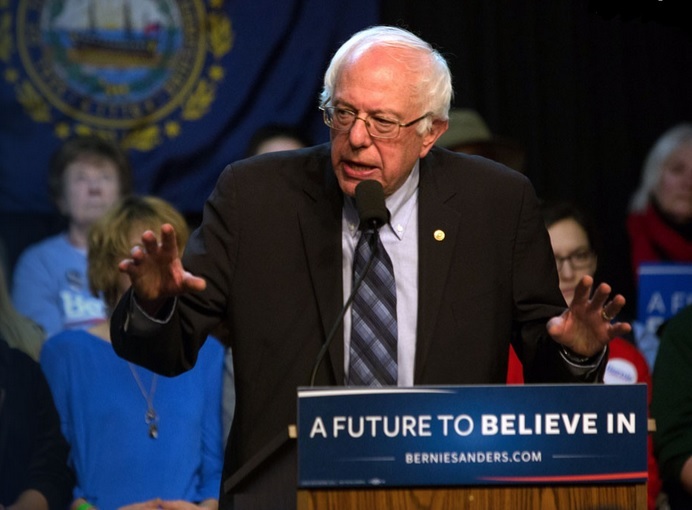 Feb 10, 2016 (LBO) – Vermont Senator Bernie Sanders defeated Hillary Clinton in the New Hampshire Democratic primary, while Donald Trump led other Republican candidates tapping into working class angst that left the U.S. presidential elections wide open. With close to half the precincts reporting, Trump had received almost 34 percent of the vote, and Sanders approached 60 percent. Voters in both parties sent a rebuke to establishment presidential candidates speaking to voter anger about rising income inequality and an ineffective Washington. The biggest loser of the night was Clinton, the Democratic front-runner who won the state in 2008. Clinton congratulated Sanders on his victory in her concession speech and vowed to battle on, saying she knows how to get results voters are demanding. Trump benefited from an unusually large field of candidates that split the vote among traditional politicians like Gov. John Kasich of Ohio and Senator Marco Rubio of Florida. Trump also tapped into a well of anxiety among Republicans and independents in New Hampshire among voters who were worried about illegal immigrants, incipient economic turmoil and the threat of a terrorist attack in the United States. Sanders, who has proposed an emphatically liberal agenda to raise taxes and impose regulations on Wall Street, drew support from a wide cross-section of voters, even edging her out among women, boosted by his appeal to younger women.